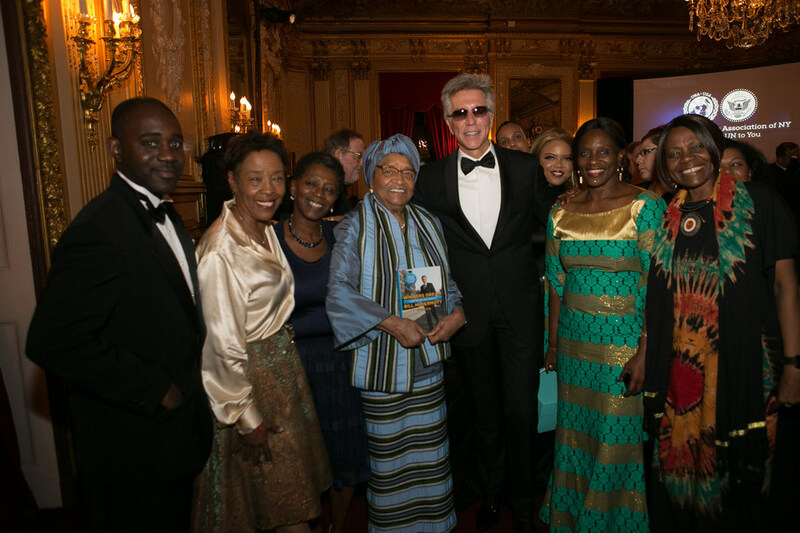 The United Nations Association of New York (UNA-NY) honored SAP CEO Bill McDermott, Former President of Liberia Madame Ellen Johnson Sirleaf, and spouse of Prime Minister of Canada Madame Sophie Gregoire Trudeau as the 2018 Humanitarians of the Year. The Humanitarian of the Year Award is presented to individuals for their contributions to, and support of, the principles and efforts of the United Nations. With the 2018 gala theme of female empowerment, the UNA-NY recognized these three recipients for their commitment to gender equality and women's rights. Bill McDermott was honored by the association for advancing gender equality through innovation and technology. Recognizing that gender equality is a necessary foundation for a peaceful and prosperous world, SAP has led and supported countless initiatives to eradicate financial exclusion, enable entrepreneurial success, and eliminate inequity in workplaces across the world. "None of us is as smart as all of us," said Bill McDermott, CEO of SAP. "This award from the United Nations Association of New York belongs to the 95,000 women and men of SAP for helping the world run better and improving people's lives. I am very proud we are advancing the 17 Global Goals, equality and progress." An avid advocate for female self-esteem and women's freedom, Madame Trudeau was recognized for her tireless efforts to end the discrimination of women across the globe. Trudeau serves as an official spokesperson for Plan Canada's "Because I am a Girl" initiative, a campaign that encourages young girls to break inequality norms and claim their power in society. "Every single word, every day, and every action counts to create more equality on our shared journey," Trudeau said in her acceptance video. "We're all in it together and we all play a role when it comes to healing this world." The UNA-NY honored Former President Madame Sirleaf for her commitment to peace, development and women's rights. As Africa's first democratically-elected female head of state, Sirleaf led her country towards strides of social, political and economic change, ultimately achieving a Nobel Peace Prize for Peace in 2011. "[Sirleaf] once said 'If your dreams don't scare you, they're not big enough,'" Trudeau said of the Former Liberian President. "That is certainly a mantra that I live by. Thank you for your unwavering commitment to peace and development and to the rights of women and girls." Each year, the United Nations Association of New York's Humanitarian Awards gala gathers policymakers, diplomats, business leaders and celebrities together to emphasize the United Nation's crucial role in advocating for peace worldwide. Past award nominees include Former Vice President Joe Biden, Secretary-General of the United Nations Ban Ki-moon and Ragnar Grimsson, Former President of Iceland.